Read the article here, authored by Mark Weber. Red Deer Players is gearing up for the next edition of ‘Breaking Cover’ – a series of rehearsed readings of new plays from Alberta playwrights. Things get underway Dec. 9th at 1:45 p.m. in the Snell Auditorium of the Red Deer Public Library downtown. Audiences have the opportunity to watch the plays and to also offer feedback on the productions as well. The first event was held this past September and round two is just around the corner with a reading of A Jew and a Muslim Walk Into a Comedy. Playwright Caroline Russell-King tells of a Jewish Synagogue sponsoring a Syrian refugee family. “This play is based on interviews with refugees, who escaped the most gruelling circumstances imaginable, where they laughed along with the amazing women who brought them to Canada. These are examples of wonderful human beings trying their best in a world gone mad,” notes a release. This rehearsed reading is being directed by Red Deer Players Board Chair Lori Lane, and will be read by local actors Perry Mill, Erna Soderberg, Fleur Jacobs, Paul Boultbee and Nigel Lane. Lori said the comedic tones of the play are a key way of delivering the themes of the story as well. “It’s really, really endearing,” she said, adding that some of the humour stems from cultural and language misunderstandings that are part of any new family from abroad settling into a new community. Russell-King will also be in attendance and, following the reading, a chat will be held with the audience to help the playwright in further development of the script. Breaking Cover, which is run in partnership with Friends of the Library and kicked off earlier this Fall, offers a terrific means for folks to explore the inner workings of how a play really takes shape. As Lori has pointed out, the series is also a means of further reaching out to the community and broadening the awareness of what Red Deer Players is all about. Reflecting on the first Breaking Cover session, Lori couldn’t have been more pleased. “It went better than expected,” she said. 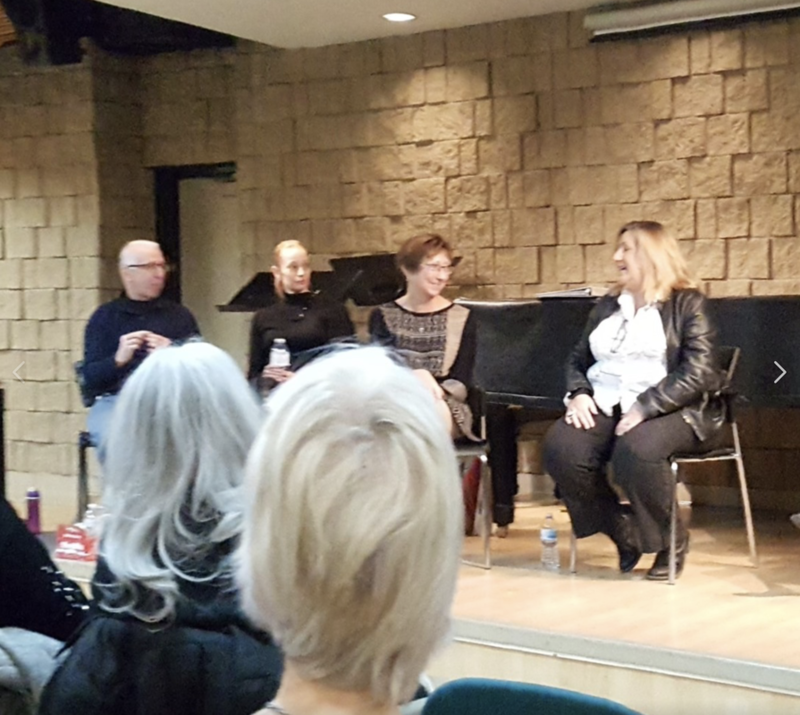 “The feedback was really positive – people thought it was a lot of fun and something different and interesting.” Ultimately, Lori said it’s a fun and engaging time for the cast, the audience and the playwright to really explore the inner workings of a production on so many levels. Meanwhile, additional sessions are slated to run Jan. 13th, March 10th and May 26th. The shows don’t come with full staging – there’s no costuming, no props, no set, no special effects – it’s just the ‘read’ which makes for a really unique experience for all involved. That includes local actors, who have lots of fun delving into the shows which of course don’t require a lengthy rehearsal process. In other Red Deer Players’ news, the company is gearing up to award the first Carole Forhan Theatre Arts Scholarship in memory of a beloved member of the troupe who passed away in 2016. Forhan was a huge supporter of the local arts scene, and was one of the founders of Red Deer Players so it seemed fitting to establish a Scholarship in her name. The Carole Forhan Theatre Arts Scholarship is available on an annual basis, in the amount of $500, awarded to an individual who demonstrates passion, dedication, a solid work ethic and commitment to theatre, and who is moving ahead to further their education and/or knowledge in the area of theatre arts, notes the web site. “We are going to be awarding the first scholarship in the Spring,” said Lori. “So what we are doing on March 23rd in Studio A at the Red Deer College Arts Centre is we are having a scholarship launch event. It will also feature a good, old-fashioned variety show. “It will be an evening of comedy, skits, songs – that sort of thing,” she explained, adding that tickets will be available early in the New Year. Red Deer Players’ next installment of ‘Breaking Cover’ runs Jan. 13th and will focus on Where Heroes Lie, penned by St. Albert-based playwright David Haas. Things get underway at 1:45 p.m. in the Red Deer Public Library’s Snell Auditorium (downtown branch). This edition of Breaking Cover is being directed by Erna Soderberg, a gifted and very experienced local actor and director in her own right. Breaking Cover, which is run in partnership with Friends of the Library and kicked off last Fall, offers a terrific means for folks to explore the inner workings of how a play really takes shape. As mentioned, audiences have the opportunity to watch the plays and to also offer feedback on the productions as well. Soderberg took part in the December Breaking Cover event as an actor, and said it was a really fun way to explore the process of how a play comes together. “The playwright is there, so you want to do it right,” she explained, adding that the audience in turn also provides terrific feedback. “After the play, we interview the author and then we ask the audience what they thought, and if they have questions or pointers or anything like that for the playwright,” she said. During the December event, the playwright also asked the actors what they thought of the show as well, Soderberg said. In terms of directing the upcoming session, Soderberg said its a quick process compared to a conventional play which can require several weeks of rehearsal. That’s part of the appeal in that it’s not a huge time commitment for anyone involved, but it’s certainly a blast to get together with like-minded folks for a fun afternoon of theatrical exploration. With Breaking Cover, there are only a couple of run-throughs before the performance, but that adds to the freshness and vitality of the show. And while the play is essentially ‘finished’, the process can give the playwright some valuable ideas for further tweaks, said Soderberg. Where Heroes Lie focuses on a girl who wins a nation-wide essay contest that enables her to travel to France. She takes her grandmother with her in an effort to locate a loved one’s grave. “At the cemetery, they meet Andrew who was a soldier in World War Two. “It’s neat, because they talk about what happened in the War,” said Soderberg, adding there are also flashbacks which further flesh out the story. Meanwhile, the Breaking Cover series is also a means of further reaching out to the community and broadening the awareness of what Red Deer Players is all about, organizers say. Additional sessions are slated to run March 10th and June 10th. The shows don’t come with full staging – there’s no costuming, no props, no set, no special effects – it’s just the ‘read’ which makes for a really unique experience for all involved. That includes local actors, who have lots of fun delving into the shows which of course, as mentioned, don’t require a lengthy rehearsal process. For more information about Red Deer Players, check out www.reddeerplayers.com. Red Deer Express Breaking Cover pre-show article - "Swingers - by Albert Azzara"
Red Deer Players’ next installment of ‘Breaking Cover’ runs March 10th and will focus on Swingers, penned by Red Deer’s own Albert Azzara. 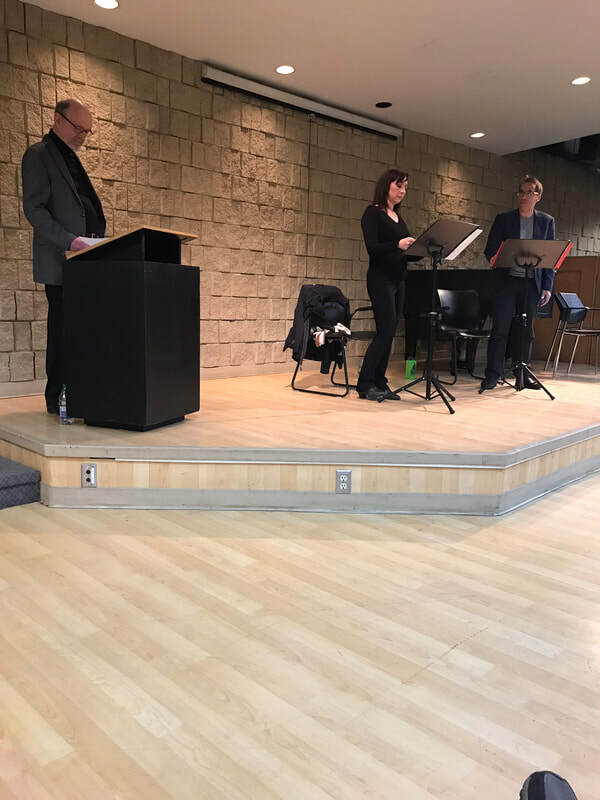 Breaking Cover offers an engaging afternoon of taking in a staged reading of a play by an Alberta author, followed by an opportunity to chat directly with the playwright about the project. There are only a couple of run-throughs before the performance, but that adds to the freshness and vitality of the show. The process can also give the playwright some valuable ideas for further tweaks. This edition of Breaking Cover is being directed by Keith Ainscough, who himself has a lengthy repertoire of performances in community theatre. Breaking Cover, which is run in partnership with Friends of the Library and kicked off last Fall, offers a terrific means for folks to explore the inner workings of how a play really takes shape. Ainscough has taken part twice in prior Breaking Cover events as an actor. He noted that the title of the play is in reference to a playground – not ‘swingers’ in the sense of the 1960s with the car keys in the jar. “The play traces the relationship between two people – it takes them from when they very first meet as teenagers through the course of their subsequent marriage and into old age,” he explained. According to Azzara’s notes, casts can also play this in the reverse, going from old age backwards to the couple’s first meeting as well – and that’s the way Ainscough has decided to present it. “We decided that the play might have a little more interest to run it backwards,” he said. Themes of how a relationship evolves are of course at the heart of the play. Of course, in this case, that will be examined, as mentioned, in reverse. “The central theme I would say is the search for identity and personal fulfillment. It’s a play about hopes and dreams and disappointments and how life rarely turns out the way that we had it planned,” he said. The first scene opens in present day, where we find Elizabeth at a playground where the swings are. She’s in her 60s and showing some early signs of dementia. Her husband Richard joins her at that moment, and then we are swept 20 years earlier to explore the couple’s relationship at that point in time. And so on. The reading is broken down into four different eras of the couple’s journey. It all makes for a fascinating study in this couple’s relationship, and with a solid cast of Roxzane Armstrong and Perry Mill, it’s tough to go wrong. Breaking Cover is a tremendous opportunity for local actors, directors, script writers and audiences. For those onstage, it’s not a huge time commitment but it’s certainly a blast to get together with like-minded folks for a fun afternoon of theatrical exploration. The other feature of the shows is that they don’t come with full staging – there’s no costuming, no props, no set, no special effects. It’s just the ‘read’ which makes for a really unique experience for all involved. “I like the idea of sitting down with bare material, words on a page with two or three actors around a table and just starting the process and see it come to fruition. That’s what I like about it. “And when you’ve got two experienced and very talented people, your job is two-thirds done as a director! “I see it as kind of a collaborative thing." This year’s Breaking Cover series wraps up June 9th with an adaptation of Mary Shelley’s Frankenstein. The series will continue next Fall as well. There is no admission charge for Breaking Cover performances, but support via a silver donation at the door is appreciated. For more information about Red Deer Players, check out www.reddeerplayers.com.